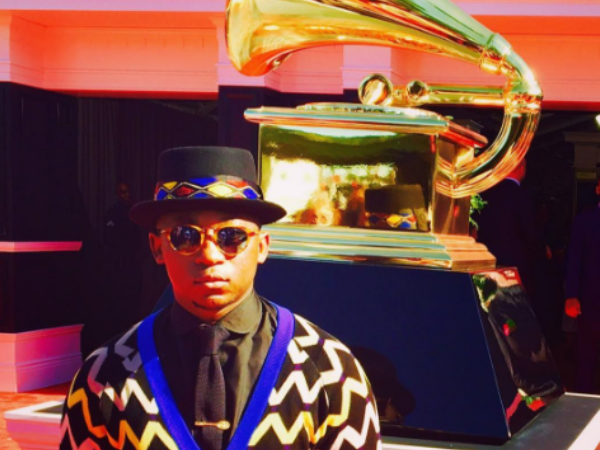 Exclusive: Khuli Chana gives us the scoop on the return of The Hustle! Khuli chatted to YOU about what we can look forward to and, according to him, his bringing it hard this time round. 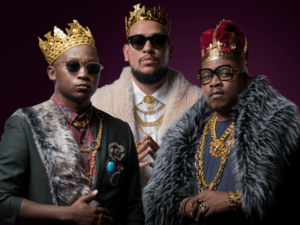 Some of the biggest names in South Africa’s rap game return to our screens in the upcoming second season of The Hustle. The Hustle – which premieres 17 April at 19:30 on DStv's VUZU AMP (channel 103) – is a TV series in which hopefuls compete for a place in the world of SA hip hop royalty. The judging panel consists of megastars AKA, Stogie T and Khuli Chana. Khuli chatted to YOU about what we can look forward to – and according to him he's bringing it hard this time. YOU CANT KNOCK THE HUSTLE,WE BACK BABY!!! “I was a bit reserved on the first one but this time round the viewers are going to see more of my personality,” says the 34-year-old rapper who’s opened for the likes of Drake. And if the winner of the first season is anything to go by, mentorship by these judges certainly pays off. BigStar Johnson (Tumelo Rakumako) had us moving and grooving to his 2016 hit My Year and undoubtedly secured his place in the SA hip hop spotlight. And while Khuli acknowledges The Hustle provides the platform, he believes the success of the contestants depends solely on them. “Hustle is a platform created to unearth talent and make a name for you, so our job is done. “What the contestants do with that is entirely up to them,” explains the rapper, whose music videos regularly send fans into a frenzy. Khuli believes our country possesses talents that could measure up to any international artist but feels we fall short when it comes to work ethic. When asked what the South African hip hop industry means to him, the Mmabatho-born star sums it up neatly: It's big business. Khuli gets enthusiastic about harvesting and cultivating local, raw talent. “The opportunity to be a judge on The Hustle is huge to me. I get to see these guys when they're still freshmen. It also gives me insight into how the kids consume music and their influences. And do we have any beef between the rappers to look forward to come 17 April? For sure, says the hit-maker. But it’s not just because of the head-butting that South Africans should tune in, he adds. “If you love SA hip hop, want to learn more about it, where it's going, and if you want to be part of the culture, this is the show! “You have Idols; this is the rap version of Idols, with more edge.